Seoul Museum, Buamdong, Seoul, Saturday 14 September, 4pm. 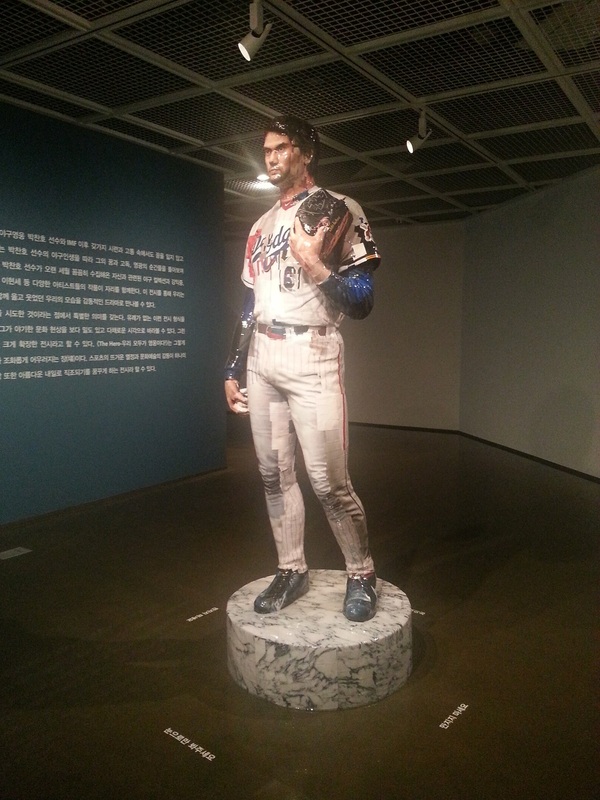 Seoul Museum’s current exhibition focuses on Park Chan-ho, an inspirational baseball player who played in the US, including at the LA Dodgers, in a career that spanned 18 years from 1994 to 2012. 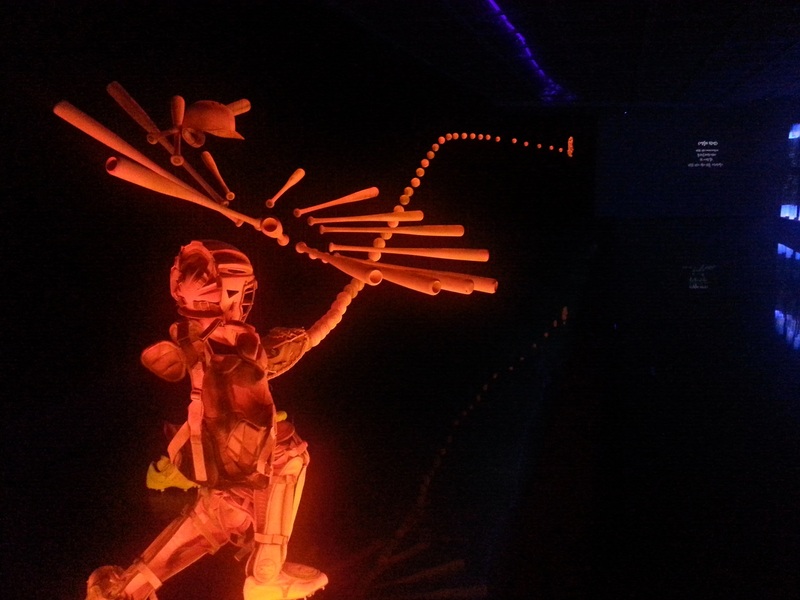 An oversized sculpture of him in Gwon Osang’s familiar style greets you as you enter the exhibition, an appropriate monument for an exhibition entitled The Hero. Park’s early years at the Dodgers coincided with the IMF crisis in Korea, and his successes in America were a source of comfort for his many fans in his home country who didn’t have much else to cheer about. Even if (like me) you’re not a fan of baseball, you couldn’t but be impressed by the 3D freeze-frame installation in a darkened room which illustrated Park’s curveball. The exhibition on the first floor finishes with a piece by Kang Ik-joong – a mosaic wall of drawings by children – symbolising the future for which Park gave hope. Baseball fans will of course be enthralled by all the Park Chan-ho memorabilia. But if still you are unmoved, the ongoing reason for a visit to the Seoul Museum is to see the important collection of 20th century Korean art amassed by the Museum’s founder, pharmaceutical CEO Ahn Byung-gwang. In the collection you’ll find the original Lee Jung-seob bull, plus one of the largest Park Soo-geun paintings around (artists in the 1950s could only afford to paint small canvases, but this one is pretty sizeable). Ahn seemed to like collecting work that was not representative of the time – with colourful figurative work by Kim Chong-hak from the 1980s and 1990s standing in stark contrast to the work of the minjung artists on the one hand and more abstract avant garde artists on the other. And if you are really lucky, the extremely knowledgeable and helpful curator Lee Jeong-min will give you a guided tour in fluent English. I don’t think I’ve had a better gallery tour anywhere. The museum is well worth a visit, both for the artwork and of course the Seokpajeong villa in the grounds. Entrance to the museum and Seokpajeong costs KRW 12,000. 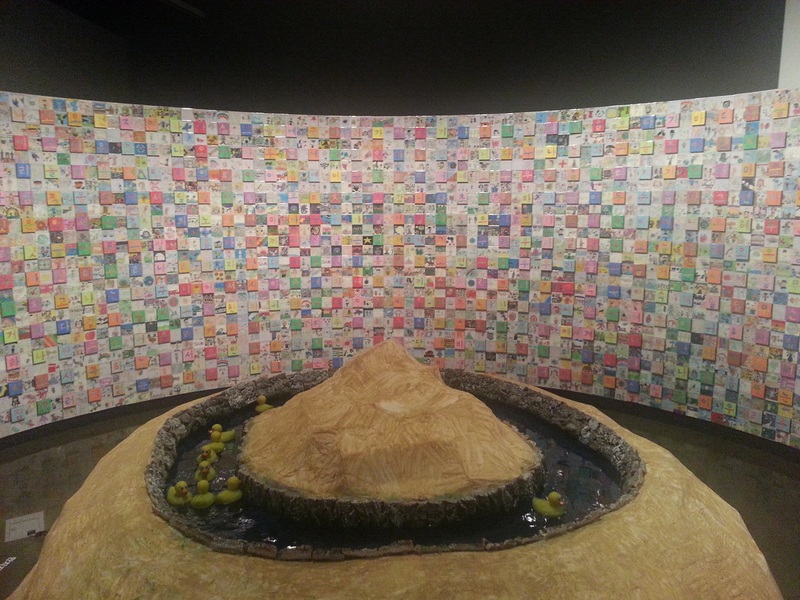 The Park Chan-ho exhibition finishes on 29 September. Across the busy road and up the hill into Buamdong you will find the Whanki Museum – another favourite spot of mine – which is currently preparing for its next exhibition.